We have refined the reflow tin plating process by incorporating highly developed reflow equipment along with in-line reflow monitoring to produce a consistent and reliable finish. Reflow plating the pure tin deposit significantly reduces the whisker formation while converting the matte tin finish to a smooth bright finish. This is done by heating the plated deposit to a temperature slightly above the melting point and then quickly cooling the deposit producing a stress free, mirror bright finish. Precision offers reflow tin or tin/lead either overall or selective on pre-plate and stamped parts in reel-to-reel applications. It is also possible to combine reflow plating in one zone on a part with precious metal or un-reflowed tin or tin/lead in another zone on the same part. • Dense and porosity-free deposit. Reflowed tin offers a number of benefits and Precision Plating is proud of our work with this plating process. We want to talk to you about your unique reflow project, contact us today. For material requiring an overall plating finish, Precision plates all of our offered finishes with the exception of electroless nickel and tri-metal. Material width, thickness and finish specifications can be discussed by contacting our engineering group. Over the past 20 years, precious metal values have continued to steadily increase. Now, more than ever, the cost of precious metals is becoming a major deciding factor in the award of new programs. Through different methods of selectivity and working very closely with our customer’s engineering team, Precision Plating develops and designs efficient strip layouts for maximum precious metal savings. Selective reel to reel plating capabilities include controlled depth, masking methods, Micro-Plate (brush) and spot plating technologies. Contact Precision’s engineers to discuss your selective plating needs and allow us to contribute our plating expertise to your next opportunity. With 40 years of experience in reel to reel finishing, you can depend on Precision for innovative solutions that other companies do not have the history or experience to deliver. Involving Precision in the design process with your injection molder, stamping partner and or manufacturer will only bring better cost savings and long-term success to your project. Precision plates almost all of our finishes either overall or selectively using Micro-Plate (brush), Spot, Controlled Depth, Stripe and other proprietary select process. Known by a number of different names, preplate involves plating a solid strip of material to later have material removed in a progressive die. Preplating material is fast and efficient but not always the most cost-effective. Preplate options include “stripe on strip” where a selective precious metal stripe is strategically applied to the material and will later become a critical area in the stamping process. Precision has the capabilities to run the majority of our finishes in the preplate process including reflow, and selective precious metal applications. Call the team at Precision at 773-583-3333 to discuss your specific preplate needs. We are happy to discuss the thickness and height of your material as well as your end finish requirements. While nickel sulfamate can be used by itself, it is typically used as an underplate for deposits such as, tin, tin/lead, gold, palladium or silver. Nickel provides a diffusion barrier that prevents components of the base material from migrating into the subsequent layers of plating. Nickel also provides a hard surface that enhances the wear properties of the metal that are subsequently plated on top of the nickel in separable contact applications. When used with a top coating of tin, tin/lead or precious metal, sulfamate nickel is an excellent choice for solderability applications. Sulfamate nickel can provide good ductility in applications that require forming after plating. Nickel sulfate is often referred to as “bright nickel” and is used in applications where decorative reflectivity is required. Sulfate nickel does not perform well in applications where ductility or solderability is an important consideration. Electroless nickel is an alloy of nickel and phosphorus and creates a plated deposit that is harder than electrolytic nickel while offering greater resistance to corrosion. Because the plating process used for electroless nickel does not rely on electrical current, the result is it provides deposit thickness uniformity on all surfaces of the plated part including holes and inner diameters. Precision Plating has taken the idea of working smarter and put it to the test. The number one challenge our clients face is the changing world of demands and the fact that there is no forecast or schedule to go with when these will be placed squarely on you. Precision offers a host of logistical solutions that give you options when you work with us. Now more than ever it is important to prove that cost and quality requirements can be met before a product goes into production. Whether your issues are before, after or during your production cycle, Precision Plating can be there to support you throughout this process. We specify cost at the earliest possible time, allowing your product to be competitive from the start. We then plate samples selectively or overall in low volume or in very high volume to meet pre-production requirements. Contact us today to get started. At Precision Plating we stand behind our metal finishing with each solution specifically engineered to meet the demands of our clients. Our metal finishing solutions are engineered to plate on BeCu, exotic alloys, die-castings, aluminum, brass, phosphor bronze and just about any copper alloy. We believe that at the heart of good plating is a controlled metal plating solution. Electroplating is critical to product performance and product design, but how do you decide which finishing material and process is best? Today, electronic technology and global competition demand an innovative electroplating process, providing cost-effective metal finishing on components and connectors that have a wide range of industrial, mechanical, and electrical applications. Electroplating is synonymous with innovation at Precision Plating, the company that has developed engineered finishes for the evolving needs of every industry to meet the challenges of tomorrow. Precision Plating's experience and expertise in the electroplating processes make it possible to take performance and cost reduction to the next level. Our services, such as educational electroplating seminars, engineering consultations, quick-turn prototyping support, and troubleshooting and design of experiments, allow your company to keep a competitive edge in design and development of new products with the production in mind. Precision Plating's product development support and technical service can help you reduce cost and meet all quality requirements before, during, and after the production cycle. Our engineers will get involved early in the design and plating specification process so that you can reduce costs earlier, identify potential production issues before they are designed in and build a more competitive product. Precision will then assign their engineering experts who can plate loose or continuous reel-to-reel prototypes, either selectively or overall in low or high volume to meet pre-production requirements. With over 900 hundred years of electroplating experience, Precision Plating Company can suggest alternatives you didn't even know existed. Experience in electroplating means a vast knowledge of materials (including gold, palladium, palladium/nickel, nickel, copper, solders and lead free tin) and techniques (like loose piece or barrel plating, continuous selective plating, and rack plating). We help you make decisions based on your production needs and product design as well as your business needs. That's why more and more businesses today are choosing Precision Plating Company for their electroplating requirements. In addition to providing Impeccable Service and being a preferred supplier to worldwide, microwave, semiconductor and global automotive industry leaders, quality and repeatability are assured through our ISO/TS 16949:2009 quality systems certification. For small parts with blind holes, threaded areas requiring complete coverage, vibratory plating becomes the ideal choice. Parts are loaded into special barrels and receive a light, steady agitation to assist in solution transfer. The vibratory plating process is available as an overall finish for copper, electroless nickel, soft and hard gold, tri-metal, nickel sulfate and sulfamate, palladium, palladium nickel, bright and matte silver, bright and matte solder, lead-free matte and bright tin, and standard bright and matte tin. Our rack plating department separates us from the competition by serving a threefold purpose. One, it gives us a place to start mastering the intricacies of a product's design through small prototype and pre-production volumes. Two, we can monitor the development of a program and the performance of the plating with the customer through the various stages of manufacturing. Three, whether the product is plated reel-to-reel, rack or barrel, we can ramp into full production with custom or standard tooling, and we can build our process upon the foundation of our experience. Electroplating is critical to product performance and product design, but how do you decide which finishing material and process is best? Today, electronic technology and global competition demands an innovative electroplating process, providing cost effective metal finishing on components and connectors that have a wide range of industrial, mechanical, and electrical applications. Electroplating is synonymous with innovation at Precision Plating, the company that has developed and engineered finishes for the evolving needs of every industry to meet the challenges of tomorrow. Precision Plating's experience and expertise in electroplating processes makes it possible to take performance and cost reduction to the next level. Our services, such as educational electroplating seminars, engineering consultations, quick-turn prototyping support, and troubleshooting and design of experiments, allow your company to keep a competitive edge in design and development of new products with the production in mind. Precision Plating's product development support and technical service can help you reduce cost and meet all quality requirements before, during, and after the production cycle. Our engineers will get involved early in the design and plating specification process so that you can reduce costs earlier, identify potential production issues before they are designed, and build a more competitive product. Precision will then assign its engineering experts who can plate loose or continuous reel-to-reel prototypes, either selectively or overall in low or high volume to meet pre-production requirements. With 40 years of experience in reel-to-reel finishing, you can depend on Precision for innovative solutions that other companies do not have the history or experience to deliver. Involving Precision in the design process with your injection molder, stamping partner, and/or manufacturer will only bring better cost savings and long-term success to your project. Precision plates almost all of our finishes either overall or selectively using Micro-Plate (brush), Spot, Controlled Depth, Stripe and other proprietary select processes. With over 900 hundred years of electroplating experience, Precision Plating Company can suggest alternatives you didn't even know existed. Experience in electroplating means a vast knowledge of materials (including gold, nickel, copper, palladium, silver, solders and lead free tin) and techniques (like loose piece or barrel plating, continuous selective plating, and rack plating). We help you make decisions based on your production needs and product design as well as your business needs. That's why more and more businesses today are choosing Precision Plating Company for their electroplating requirements. In addition to providing Impeccable Service and being a preferred supplier to worldwide, microwave, semiconductor and global automotive industry leaders, quality and repeatability are assured through our ISO/TS 16949 quality systems certification. Now more than ever it is important to prove that cost and performance requirements can be met prior to a product going into production. Whether you are seeking low cost alternatives to gold for existing programs or working with your customer to develop the best finish for a required level of performance, small batch, low volume runs are ideal. The product prototype development process draws upon the capabilities of all disciplines in Precision Plating and can be run in a manner to keep cost to a minimum, and work with order sizes ranging from small preproduction quantities to full scale order sizes. Electroless metal plating can be expensive and hard to find. That is why Precision applies it's mission of impeccable service to this difficult market. Leave it to the leaders in electroplating and electroless metal plating - Precision Plating. Whether it's copper, gold, silver, nickel, tin, or palladium, we have the right metal plating process to meet your needs. We also give you options and technology in electroless metal plating techniques from a company whose quality, service and process meet the ISO/TS 16949:2009 standards. That's why it pays to use a reliable company like Precision Plating when the right electroless metal plating is critical to the success of your project. If your application requires nickel or copper plating and tolerance is of a main concern, then try electroless plating. In the electroless plating process, electrons still flow between the redox couple in the bath. However, the process has no electrodes and therefore plates far more uniformly than a standard electrolytic process. Copper electroless plating is ideal for applications in the semiconductor industry. The uniform deposition of electroless finishing and its ability to be applied over non-conductive surfaces, such as plastics, makes it a versatile solution. Located in Chicago, Illinois, Precision Plating Company draws upon nearly 900 years of metal plating experience to provide barrel, rack, selective and overall continuous reel to reel plating services. In addition to providing Impeccable Service and being a preferred supplier to worldwide semiconductor and global automotive industry leaders, quality and repeatability are assured through our ISO/TS 16949:2009 registered quality systems certification. Continuous Reel to Reel Plating: With 40 years of experience in reel to reel finishing, you can depend on Precision for innovative solutions that other companies might say are impossible. Involving Precision in the design process with your injection molder or stamper will only bring better cost savings and long-term results to your project. Precision plates all of our finishes either overall or selectively using Micro-Plate (brush), Spot, Controlled Depth, Stripe and other proprietary select processes. Barrel Plating: Looking for a cost-effective, repeatable and consistent loose piece barrel process? Precision ensures it by engineering every loose piece barrel project to the end specification. The goal of our calculated approach to loose piece barrel finishing, including all barrels and inspection plans, is to meet our clients' requirements cost effectively and reliably. Involving Precision in your design meetings can result in a competitive advantage for your company that helps you rise above the competition. 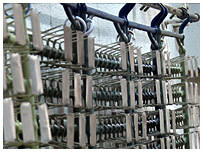 Rack Plating: All rack finishing is not created equal. Precision provides custom designed tooling to ensure that product damage is minimized, resulting in a consistently high quality product. This is an excellent way to plate etched sheets and small prototype orders to help you understand what the issues are and if the finish is right for your application. In addition, Precision's product development support and service can help you prove that cost and quality requirements can be met before, during, or after your production cycle; allowing our experts to get involved early in the design and requirement specification process so that you can specify costs earlier and build a competitive advantage. Precision's engineering experts can create plated prototypes, either selectively or overall, in low or high volume to meet pre-production requirements. For over 100 years, the people who work here at Precision have always placed an emphasis on service. People are what make the difference in our industry and we have over 900 years of experience under our roof. When you call Precision and hear our live operator, you will see that our attention to the personal touch and service is what we value most. Electroplating uses an electrical current to finish a contact or component with a thin layer of metal. The application of electroplating deposits has a desired property like abrasion, wear resistance, corrosion protection, lubricity or aesthetics onto a substrate lacking the desired property. The electroplating process is also known as electrodeposition. It is a galvanic or electrochemical cell acting in reverse. The part being plated becomes the cathode of the circuit. With a soluble anode, the anode is made of the metal to be plated on the part which dissolves in a chemical solution, like gold or palladium. In a soluble anode, the metal is actually contained in solution. Both the anode and the part or cathode are submerged in a solution containing one or more metal salts in addition to other ions that enable the flow of electricity throughout the solution. A rectifier supplies direct current to the cathode causing the metal ions in solution to lose their charge and plate onto the part or cathode within the solution. As the electrical current flows through the solution, the anode dissolves in a controlled manner and replenishes the ions in the bath. Other electroplating processes may use a non-consumable anode like tin or nickel. When using these techniques, ions of the metal to be plated are periodically replenished in the bath as they are plated out of the solution. Precision Plating's can take performance and cost reduction to the next level thanks to their experience and expertise in the electroplating processes. With services, such as educational electroplating seminars, engineering consultations, quick-turn prototyping support, and troubleshooting and design of experiments, allow your company to keep a competitive edge in design and development of new products. Precision Plating's product development support and technical service can help you reduce cost and meet all quality requirements before, during, and after the production cycle. Our engineers get involved early in the design and plating specification process so that you can reduce costs earlier, identify potential problems before they are designed in and build a more competitive product. Precision Plating's engineering experts can plate loose or continuous reel to reel prototypes, either selectively or overall in low or high volume to meet pre-production requirements. 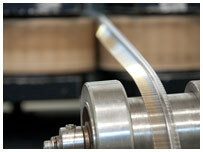 Barrel Plating: Looking for a cost effective, repeatable and consistent loose piece barrel process? 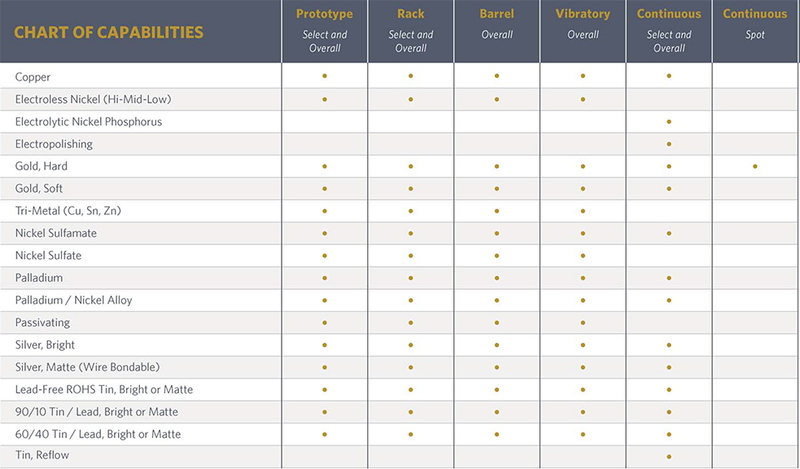 Precision ensures it by engineering every barrel project to the end specification. The goal of our calculated approach to barrel finishing, including all barrels and inspection plans, is to meet our clients' requirements cost effectively and reliably. Involving Precision in your design meetings can result in a competitive advantage for your company that helps you rise above the competition. Continuous Reel to Reel Plating: With 40 years of experience in continuous reel to reel finishing, you can depend on Precision to innovative solutions that other companies might say are impossible. Involving Precision in the design process with your injection molder or stamper will only bring better cost savings and long-term results to your project. Precision plates all of our finishes either overall or selectively using Micro-Plate (brush), Spot, Controlled Depth, Stripe and other proprietary select process. With over 900 hundred years of experience, Precision Plating Company can suggest alternatives you didn't even know existed. Experience and a vast knowledge of materials (including gold, nickel, copper, solders and lead-free tin) and techniques (like loose piece or barrel plating, continuous selective plating, and rack plating) allow Precision to provide you with the best service in the industry. We help you make decisions based on your production needs and product design as well as your business needs. Located in Chicago, Illinois, Precision Plating Company draws upon nearly 900 years of metal plating experience to provide barrel, rack, selective and overall continuous reel to reel plating services. In addition to providing Impeccable Service and being a preferred supplier to worldwide semiconductor and global automotive industry leaders, quality and repeatability are assured. We are a World Class; ISO/TS 16949:2009 certified electroplating facility. Continuous Reel-to-Reel Plating: With 40 years of experience in reel-to-reel finishing, you can depend on Precision for innovative solutions that other companies might say are impossible. Involving Precision in the design process with your injection molder or stamper will only bring better cost savings and long-term results to your project. Precision plates all of our finishes either overall or selectively using Micro-Plate (brush), Spot, Controlled Depth, Stripe and other proprietary select processes. Barrel Plating: Looking for a cost-effective, repeatable and consistent loose piece barrel process? Precision ensures it by engineering every loose piece barrel project to the end specification. The goal of our calculated approach to loose piece barrel finishing, including all barrels and inspection plans, is to meet our clients' requirements cost-effectively and reliably. Involving Precision in your design meetings can result in a competitive advantage for your company that helps you rise above the competition. In addition, Precision's product development support and service can help you prove that cost and quality requirements can be met before, during, or after your production cycle. Allowing our experts to get involved early in the design and requirement specification process so that you can specify costs earlier and build a competitive advantage. Precision's engineering experts can create plated prototypes, either selectively or overall in low or high volume, to meet pre-production requirements. Our wide selection of tin plating options allows us to customize electroplating and metal finishing solutions to meet the exact specifications of our clients. Lead-free tin is a soft metal that provides superior electrical conductivity and corrosion protection. The method of plating is often used to preserve the solderability of under-plated deposits such as copper or nickel. At least 100 grams of contact force is recommended when using lead-free tin in a contact application. Thanks to Precision's experience in the industry, we can recommend always utilizing a sliding or wiping action during contact engagement in lead free tin plated connector applications. Our lead-free tin deposits meet all RoHS requirements. Lead free bright tin exhibits cosmetic reflectivity and is typically used in electrical contact applications such as terminals and switching components that will not be used in solder applications. Because bright tin requires the use of organic additives that co-deposit, it is not appropriate for projects necessitating solderability. Precision offers lead free bright tin plating in each of the following segments of our capabilities: Prototype /Rack / Barrel / Vibratory / Continuous Reel to Reel. Lead-free matte tin is appropriate for all connector applications. Because matte tin deposits do not contain organic materials, this method is superior to that of bright tin in solderability applications. Alloying matte and bright tin with lead reduces the melting point, which is favorable for applications when solderability is important. This process also prevents the formation of tin whiskers. All other performance characteristics of leaded matte and bright tin are similar to that of pure tin. Neither plating methods meet RoHS requirements. Reflow tin is produced by plating a pure matte tin deposit and then subjecting that deposit to a heat source that melts or “reflows” the tin deposit. The resulting deposits have a bright appearance, similar to that of bright tin, without the negative effects of co-deposited organic components. 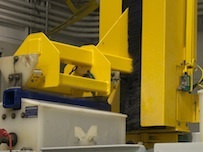 This process is often used as a whisker mitigation technique when a nickel under-plate cannot be used under the tin deposit. Precision Plating engineers carry out each project specifically to our clients' product specifications. We engineer tin plating solutions for exotic alloys, stainless steel and die castings as well as brass and other copper alloys. 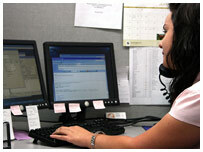 At Precision, controlled processes and flawless service is at the heart of customer satisfaction. Contact us today for more information on any of our metal plating abilities. Copper plating is a popular choice for commercial metal finishing for a variety of reasons. Understanding copper plating, the materials and processes involved is vital to meeting the value, scheduling and price demands of our customers. Precision Plating's expertly trained team of engineers and operators understand the intricacies of metal finishing and copper plating. We're committed to educating our customers, and when advantageous for our clients, we use copper plating to create the most efficient and cost-effective metal finishing programs. Copper plating creates an outstanding barrier layer that can cover substrate metals and alloys. Utilizing copper plating provides an easy-to-plate, level, and in some cases, smooth substrate, making it even more popular than nickel plating for certain metal finishing applications. Although it can be used independently, copper is typically used as an underplate for deposits such as nickel, tin, tin/lead, gold, palladium or silver. Copper plating provides an excellent diffusion barrier preventing components of the base material from migrating into the subsequent plating layers. Copper plating generates high electrical conductivity, which has made it an excellent and inexpensive choice for high tech products as well as other applications. 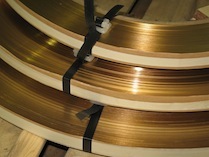 Precision offers copper plating in each of the following segments of our capabilities: Prototype / Rack / Barrel / Vibratory / Continuous Reel to Reel. At Precision Plating, we stand behind our metal finishes. We specifically engineer each copper plating solution on a client-by-client basis, which results in economic solutions that meet specific requirements. We strive to provide our customers with the impeccable service that we've built our reputation on. Precision Plating has been setting the standard for copper plating and metal finishing for years. Contact us today for more information on our electroplating or metal finishing services. What is Metal Finishing and Its Advantages? There are three main stages to the metal finishing process, each of which includes moving the object to be plated through chemical baths. Pre-Treatment: The pre-treatment stage is the foundation for a perfectly plated object, as this is when it is stripped and cleaned. Our experts ensure objects are disassembled, evenly cleaned and are polished so finishing won’t flake or bubble. Treatment: This step is when a layer of metal, such as silver, gold, tin, copper, nickel, or brass, is applied to the object. The more time an object is in the bath, the thicker the metal plating will become. Post-Treatment: While some finishing jobs will be complete after step two, other jobs require a few additional steps, such as clear coats or additional anti-tarnish coats to improve the object’s resistance. Are there new metal finishing materials better suited to your application than what you're currently using? With over 900 years of metal finishing experience, Precision Plating Company can suggest alternatives you didn't even know existed. Our team’s experience in metal finishing means a vast knowledge of materials, including gold, nickel, copper, solders, and lead-free tin, and techniques like loose piece or barrel plating, continuous selective plating, and rack plating. Our team of plating experts is here to help you make decisions based on your production needs and product design, as well as your business needs. At Precision, a controlled plating process and excellent service is at the heart of customer satisfaction. In addition to providing impeccable service and being a preferred supplier to worldwide semiconductor and global automotive industry leaders, quality and repeatability are assured through our ISO/TS 16949:2009 registered quality systems certification. Contact us today to discuss your metal plating needs. The engineers at Precision Plating tailor silver plating projects to the unique demands of each of our clients. Precision's silver plating professionals and product development support team will help lower the cost of your next electroplating application while still meeting your complex requirements. Allow our experts to get involved early in the design and specification process so we can identify cost saving opportunities early on. Precision Plating applies silver plating finishes on stainless steel, exotic alloys, die castings, aluminum as well as brass and other copper alloys. Silver has the highest electrical conductivity of all metals; however, it cannot be labeled as a noble metal. Bright silver is often designated a semi-precious metal because it readily tarnishes, forming silver nitrate or silver sulfide on the surface when exposed to chlorides or sulfides. Bright silver plating is best suited for applications that require high electrical and/or thermal conductivity, lubricity and/or wear resistance in bearing applications, solderability applications and optical reflectivity in lighting and/or LED applications. 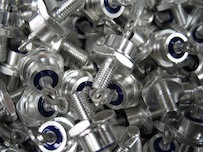 Currently, silver is one of our most common connector finishes, particularly in automotive connector applications. Surface treatments can be added to extend shelf-life and delay the formation of bright silver tarnish. Primarily used as a wire bondable surface in lead frame, integrated circuit or sensor applications, matte silver is another option for many of our clients. Because a matte silver deposit does not include the metallic hardening agents that are present in bright silver, it is softer than bright silver and not generally appropriate for separable connector applications where wear is an important consideration. At Precision Plating, we have made it our mission to meet the value, scheduling and price demands that clients require. Precision Plating has experience using silver and other metals for our electroplating and metal finishing services. Our knowledge and understanding of this business make us a trusted industry leader, and every day, we strive to be the best. At Precision Plating, we take performance and cost reduction to the next level for our clients. For more information on silver plating or any of our other metal finishing services, please contact us today. When looking to save money, consider palladium plating for your electroplating needs. While gold plating is often the first choice in precious metal plating, Palladium/Nickel Alloy and Pure Palladium Plating are economic and profitable alternatives to consider. As gold prices continue to rise, the engineers at Precision Plating are working with palladium more often for a variety of our clients' electroplating projects. Palladium/Nickel Alloy and Pure Palladium Plating provide many of the same positive qualities as gold, including comparable connectivity and wire bonding characteristics. Similar to gold, palladium does not oxidize or chemically react in corrosive environments. However, these materials are less dense than gold, which means fewer resources are used to achieve equal linier thickness. Because it's harder than gold, palladium can have better wear attributes and may be less sensitive to process fluctuations. It creates low surface contact resistance, making palladium ideal for applications that require contact surfaces for soldering or wire bonding. The density of pure palladium and palladium/nickel alloy electroplating allows these materials to withstand high heat from reflow applications while still bonding wire and maintaining solderability. It is also an excellent choice when a project requires a barrier between base metals such as nickel or copper and gold. Since the early 1980s, Precision Plating has worked closely with our tech partners, pioneering the use of electrodeposited pure palladium and palladium/nickel alloys in electronics and electrical applications. Today, Precision Plating offers wire bonding palladium plating solutions for a variety of projects. Pure palladium plating is a good alternative for many gold applications including wire bonding. Consult with our engineers to find out if pure palladium or palladium/nickel electroplating can improve your project. Located in Chicago, Precision Plating is a World Class; ISO/TS 16949:2009 certified electroplating facility. For over 100 years, the qualified individuals at Precision Plating have emphasized the value of impeccable service. The entire Precision Plating team is dedicated to providing cost-effective high quality service to our customers by exploring innovative opportunities such as. Pure palladium and palladium/nickel alloys. Looking for a cost effective, repeatable and consistent loose piece barrel plating process? Precision ensures it by custom engineering every loose piece barrel plating project to the end specification. The goal of our calculated approach to loose piece barrel finishing, including all production processes, barrels and inspection plans, is to meet our clients' requirements cost effectively and reliably. Involving Precision in your design meetings can result in a competitive advantage for your company that helps you rise above the competition. Precision Plating Company has experience and expertise in the loose piece or barrel electroplating processes makes it possible to take performance and cost reduction to the next level. Our services, such as educational electroplating seminars, engineering consultations, quick-turn prototyping support, and troubleshooting and design of experiments, allow your company to keep a competitive edge in design, development and production of customer products. Precision Plating Company offers product development support and technical service to help reduce cost and meet all quality requirements before, during, and after the production cycle. Our engineers get involved early in the estimating, design and plating specification process so that you can reduce costs earlier, identify potential problems before they are designed in and build a long term competitive product. Precision Plating Company has engineering experts that can plate loose or continuous reel-to-reel prototypes, either selectively or overall in low or high volume to meet pre-production requirements. That's why more and more businesses today are choosing Precision Plating Company for their electroplating requirements. In addition to providing Impeccable Service and being a preferred supplier to worldwide semiconductor and global automotive industry leaders, quality and repeatability are assured through our ISO/TS 16949:2009 quality systems certification. Tri-metal is an alloy consisting of copper, tin and zinc that is also referred to as "white bronze," thanks to its color, which is often compared to bright/satin nickel or silver. The bright white finish of tri-metal plating can be used as an undercoat with palladium, palladium/nickel, silver or gold products, or as a topcoat with those finishes. At Precision Plating, our team churns out high quality products while maintaining an unbeatable standard of service. We complete projects quickly and accurately. As a result, our team has earned the reputation of being a company with the capacity and experience to stick to production schedules in the most cost-effective manner possible. Our tri-metal and white bronze plating specialists work hard to get projects done quickly and accurately. Contact us today to learn more about how we can put Precision Plating's electroplating or metal finishing services to work for you. Electroless nickel plating can be expensive and a hard service to find, which is why Precision Plating in Chicago applies its mission of impeccable service to this difficult market. If your application requires nickel or copper finishing and tolerance is a main concern, consider electroless metal plating from Precision. The electroless plating process creates a finish far more uniformed than what is achieved through a standard electrolytic process. The uniform deposition of this finishing process and its ability to be applied over non-conductive surfaces, such as plastics, makes it a versatile solution. Electroless nickel finishing is the most common electroless metal process, and works well in products with an aluminum base material. Processing delicate products in electroless nickel is a large part of our business here at Precision and we work very closely as an approved supplier with a number of large defense contractors. Silver, tin, palladium and gold can also be applied through this finishing process. Gold Plating is valued for its physical properties. As a noble metal, gold has a natural ability to resist corrosion and oxides which can form on the surface of other non-noble metals. Corrosion and oxides can create electrical conductivity issues resulting in poor performance or shortened product life-cycles, which the gold plating process can help avoid. With gold costs at an all-time high, every bit of savings and performance is needed to remain competitive. If your business is looking for gold plating services, Precision Plating Company's product development and technical support teams can help you eliminate unnecessary costs to meet stringent pricing targets and win more business. When starting the product specification and design process, Precision's team of electroplating engineers gets involved early to minimize costs and deliver high quality gold plating, while still remaining cost effective. To learn more about our services and gold plating processes, contact the Precision Plating Company today! Is an alloy of 99.7% gold and 0.3% of a hardening agent, most commonly either nickel or cobalt. Gold plating is used as an electrical or electronic contact finish because it is a noble metal that does not oxidize or chemically react in corrosive environments. Has a Knoop hardness between 130 – 200 and is used where electrical conductivity (especially very low current applications), solderability and/or corrosion resistance are important design requirements. When compared to soft gold, hard gold proves superior contact wear resistance. Soft gold, also referred to as pure gold, is naturally soft because it has little to no grain refiners or additives to make the deposit hard. Soft gold is 99.9% pure gold and has a Knoop hardness between 91-115. It is pliable and is easier to solder than hard gold. 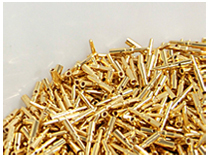 Soft gold is typically used in lead frame wire bonding applications and high reliability solder applications where hard gold would not be appropriate. We plate ferrous and non-ferrous substrates, including red metals, stainless steel and aluminum. You may download our capability chart here. © 2018 Precision Plating Co.